Canyon has presented a perfect multimedia gadget for tablet users. September 2014. 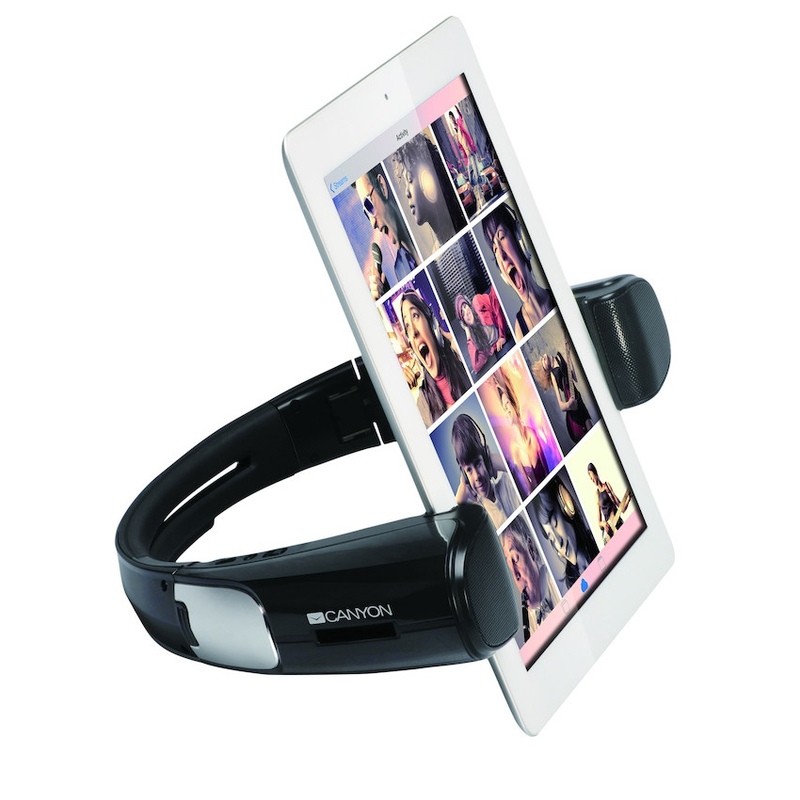 Cheerful and innovative Canyon brand has presented two product in one – bluetooth speaker and tablet stand. The new gadget is going to make a tablet user experience perfect. The “speakers-and-stand” combination is a good multimedia solution for tablet usage – you can enjoy music or movies everywhere and everytime! The modern design makes the gadget and completely foldable to use it everywhere you want. The quality of the sound is a real surprise for such a small size – “passive radiator” technology makes it perfectly clear and powerful. Canyon » Novelties » To see and listen!